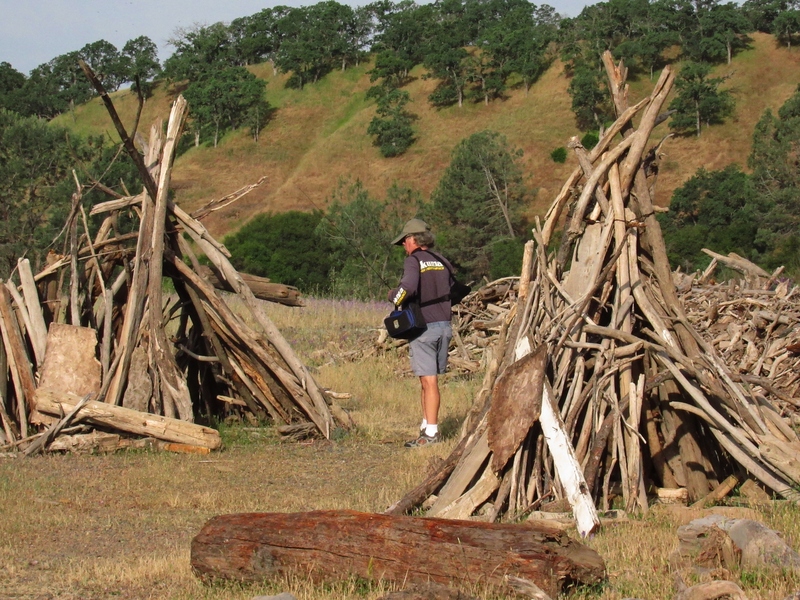 Throughout the last few years as I’ve been hiking the trails in my area, I’ve noticed some landmarking trends that seem to come and go in popularity. There was a time when I used to see stacks of rocks practically covering Mississippi Bar, and now (thankfully) I see them more rarely. 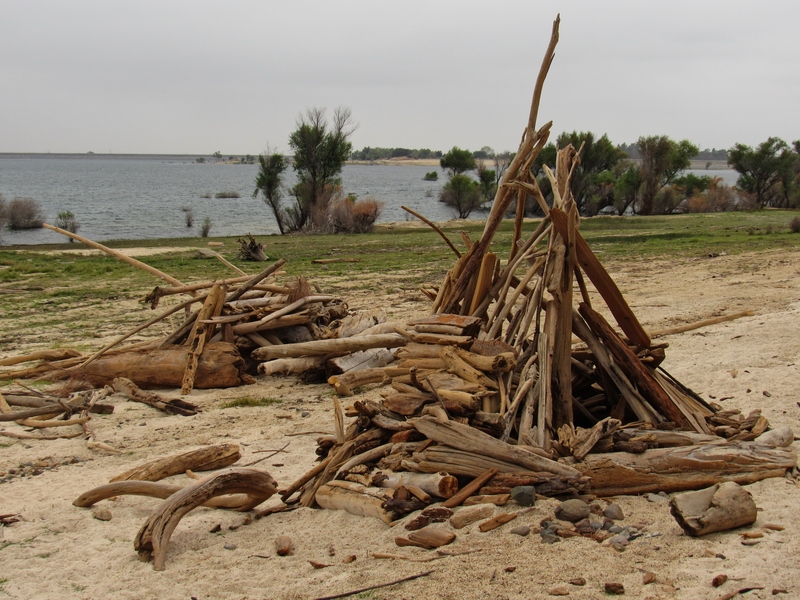 Much less common but in some ways more interesting to me are the various “tepees” I’ve noticed constructed from driftwood. 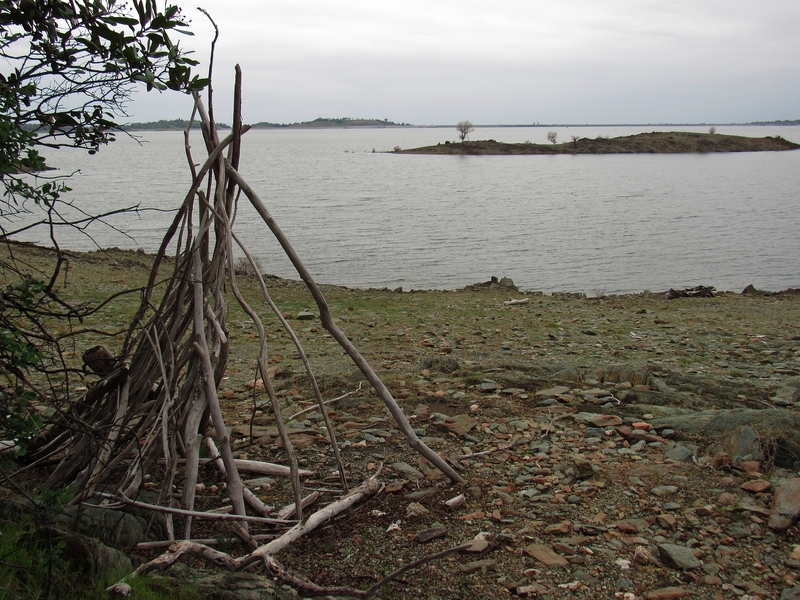 Searching the internet for more information on this phenomenon, I did find a blog post from 2016 about building driftwood forts on ocean beaches; but all the ones I’ve found have been far inland, along the shores of local lakes (with one exception, in 2015 — see below). 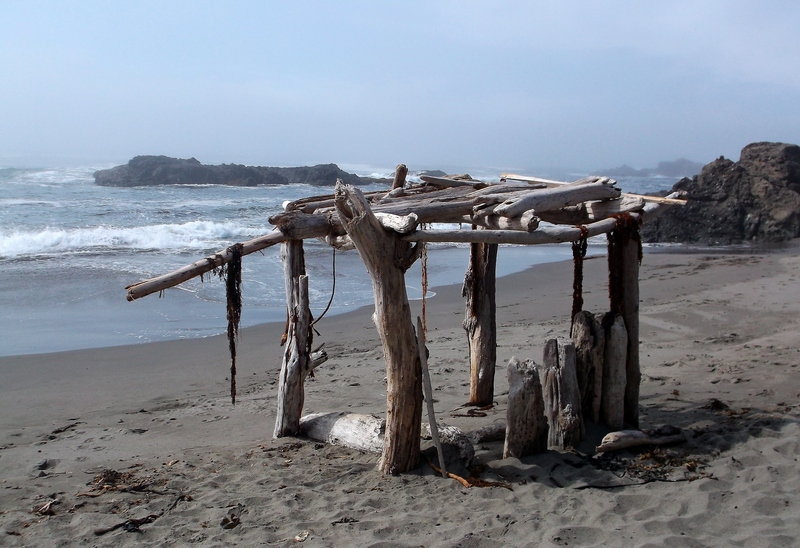 I may never build one of these driftwood shelters myself, but I really like the “cosmic guidelines” for their construction and use proposed by the author of the blog post mentioned above. 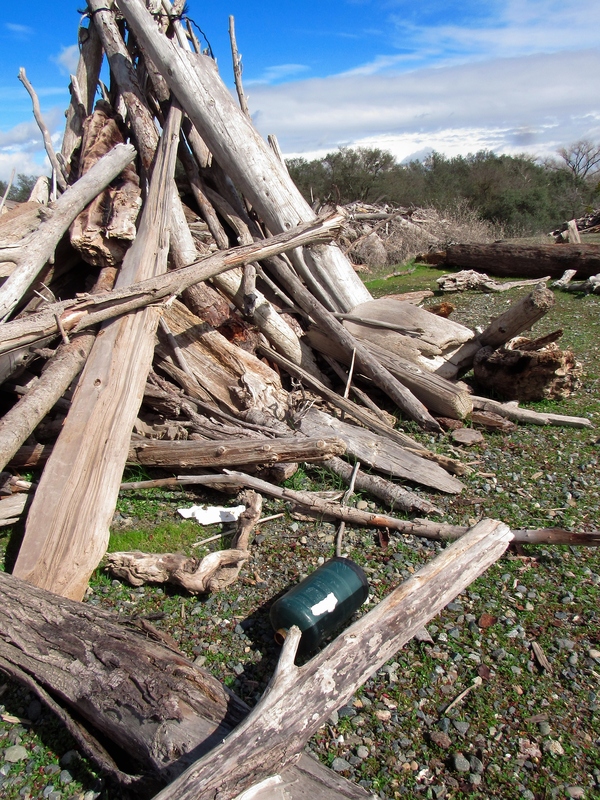 • Use only the materials found on the beach. No tools except the ones you fashion. 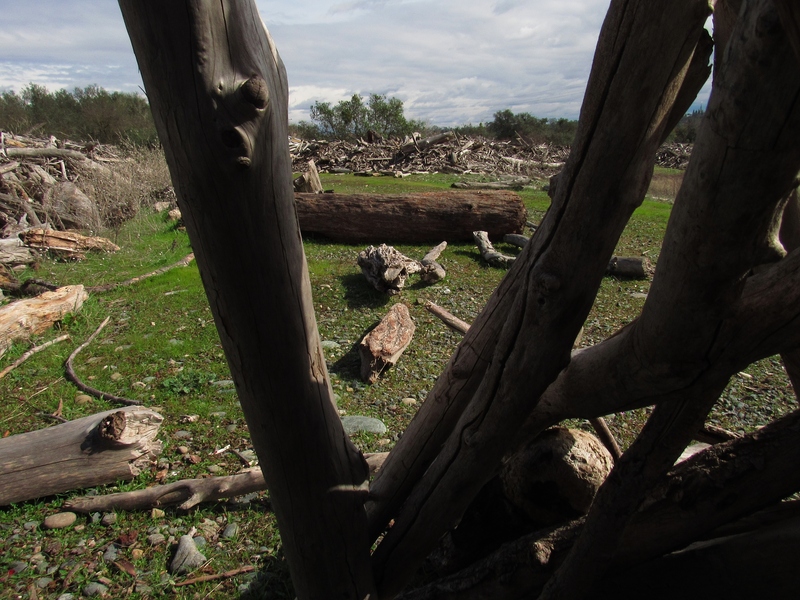 • It’s always a good idea to begin a fort with one or two large pieces of driftwood as a foundation. 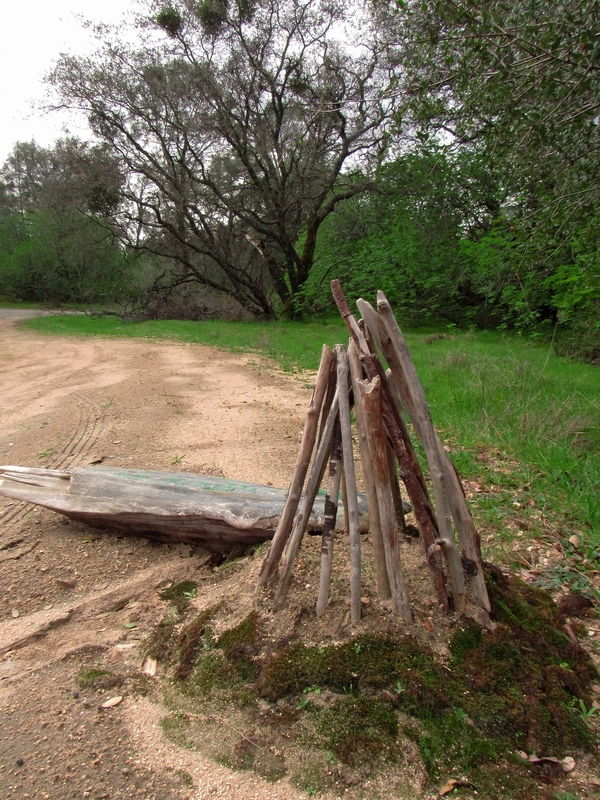 • Don’t tear a fort down to build your own. 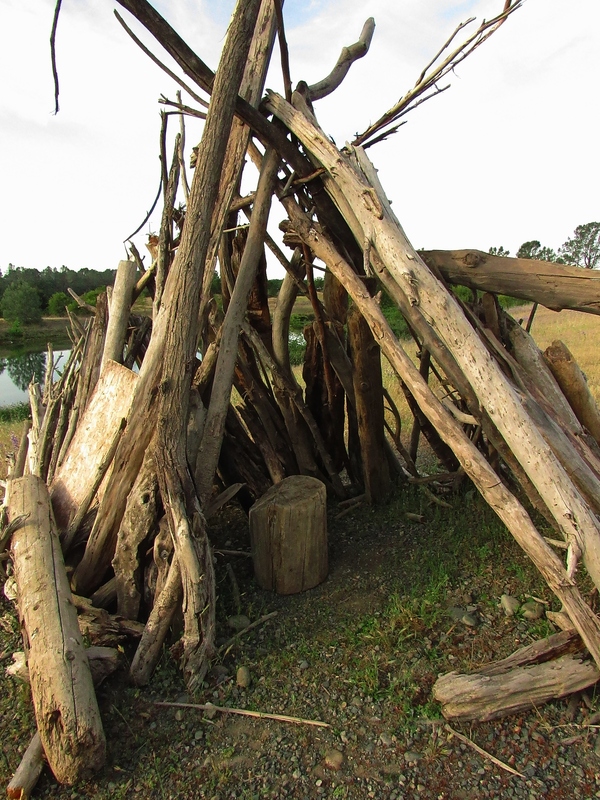 Forts are never abandoned; they are left for others to enjoy. 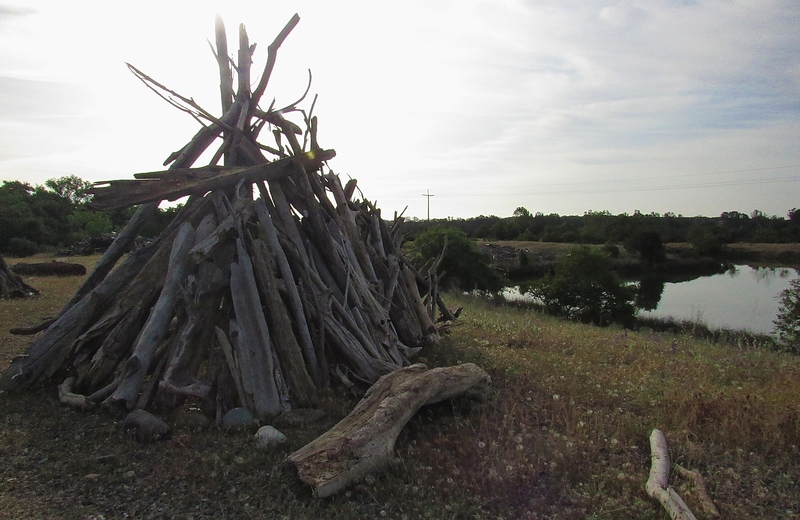 You can add to, adorn, repurpose, collaborate, take something small you might need, but you can’t destroy another fort for your own well being, your children’s, your spouse’s, or your portfolio’s. 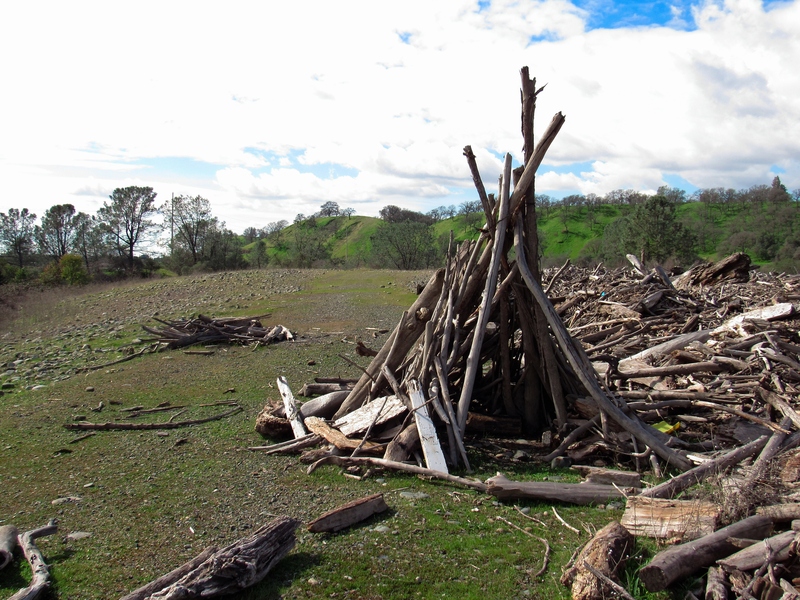 You never get to own one because driftwood forts belong temporarily to everyone and permanently to the ocean. That’s their reality and metaphor.